The Universal monsters are coming back in a big way with the start of their own #DarkUniverse. #TheMummy (starring Tom Cruise/Annabelle Wallis) recently debuted with mixed reception from both critics and audiences. However, Universal doesn’t plan on slowing down anytime soon as they already have a slate of films lined up to continue their dark universe. Universal Pictures have had plenty of memorable monster films dating all the way back since the 1930’s. The original Dracula, Wolfman, Frankenstein, Bride of Frankenstein, and The Invisible Man are cult classics and still define the monster movie genre. Universal has tried (and failed) a few times on jump-starting a shared universe including 2014’s Dracula Untold. Nonetheless, there was a series that was very successful and that was the Brendan Fraser Mummy movies. One big reason these films have done so well to keep audiences entertained is the creative humor that was put into these films. While these films were clearly heavily inspired by Spielberg’s Indiana Jones franchise, one of the main elements that make them great is that they are fun to watch. This tremendous action scene is easily one of the best parts of the film and takes place towards the beginning of the movie. The reason this particular scene is great is because O’Connell has fought these mummies before and he lets the audience and those around him know it as he voices his displeasure. Shortly after Imhotep is revived once again, he sends out his personal guards to destroy O’Connell and his crew once and for all. While it’s not nearly as good as the first film, The Mummy Returns is a decent sequel that will have you thoroughly entertained. Though the film is regarded as having one of the absolute worst CGI creations in all of cinema, the film to this day is still a great popcorn flick. The characters are once again extremely memorable as the creative team behind this sequel continue to make audiences root for these characters. Sure the mummies and Imhotep are reasons to catch this flick (not to mention the baby monkey mummies), but it’s truly the characters that keep audiences coming back for more. 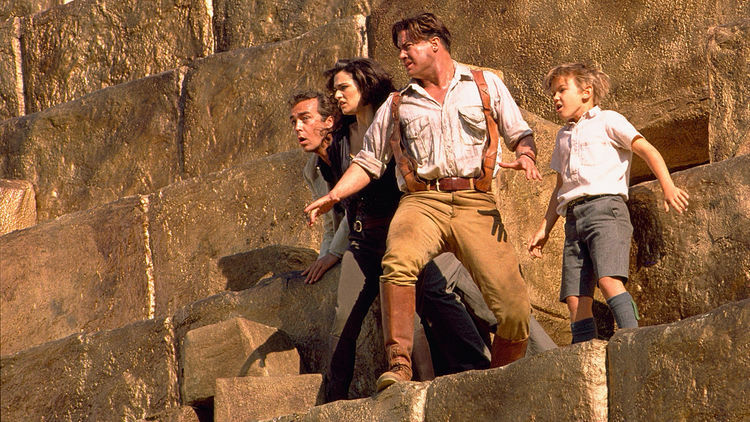 What were some of your favorite moments from The Mummy Returns? Share your thoughts in the comment section below!